The big, inventive annual production that we now know as the Silver Scroll Awards was not always thus. It was born loud, live and jostling for space at the bar in 1993. And things would never be the same again. 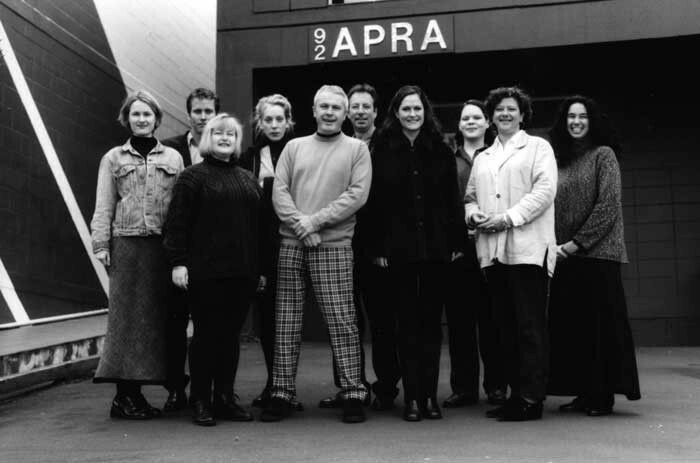 APRA, the Australasian Performing Right Association, was going through changes on both sides of the Tasman in the early 90s. The New Zealand office had transferred from Wellington – the home of APRA’s local champion, Douglas Lilburn – to Auckland, the country’s capital of popular music. In 1990, Brett Cottle became chief executive of APRA’s head office in Sydney – a post he holds to this day. Not long after he took the job, Cottle met Mike Chunn at the 1990 Silver Scroll awards, a modest event where Guy Wishart's resonant, if traditional, ‘Don't Take Me for Granted’ was named the top song. 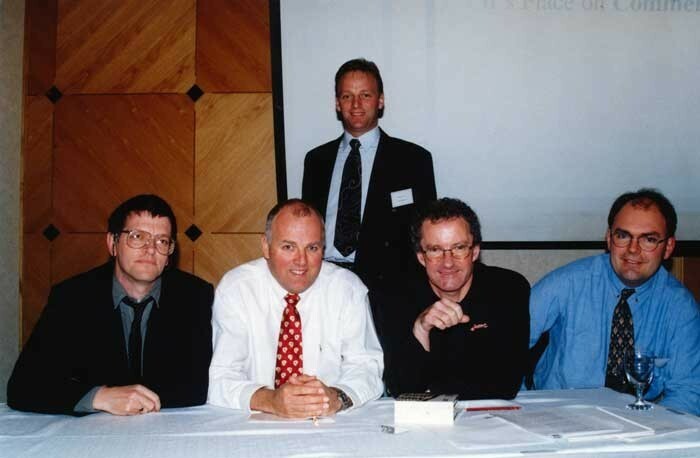 The two men saw each other again at an industry seminar in Auckland the following year. They clicked and Chunn, then working for Sony Music Publishing, was offered the role as APRA’s director of New Zealand operations. In 1992, he took the job – and nothing would ever be the same again. 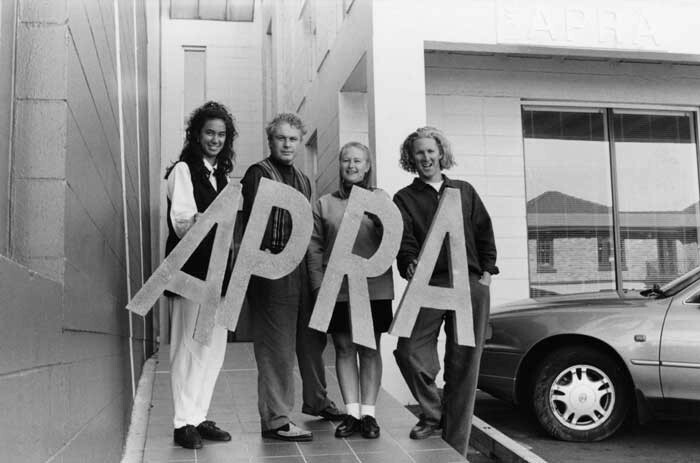 The arrival of Chunn, a respected musician in his own right [and former member of Split Enz and Citizen Band], signalled a new era of openness and visibility for APRA. Chunn himself beat the streets to explain to small business owners why it mattered that they paid their performance right fees. But the big change was to the awards themselves. Did Chunn come in with an awards revamp on his agenda? Chunn had been to four or five Silver Scroll awards, “mainly in the early 80s, and it was more of a social occasion, a soiree. The only reference to the top five songs was to have them playing quietly on a stereo in the background. Chunn’s awards were very definitely not the restaurant affairs of yore. A bigger crowd than ever before – one that, significantly, included many musicians – was squeezed around tables on the Powerstation dancefloor. Because the venue had no kitchen of its own, the food had to be cooked outside. A fire alarm sent everyone out into the street. And the drinks flowed like a river. If memories of the event are a little hazy, that’s because most of those present were more than a little tipsy. That year also saw the introduction of the key element of a Silver Scroll ceremony: the interpretations of the finalists’ songs by other artists. “I don't know why I thought ‘let’s get interpretations done’, but I didn’t want to have those who’d written the songs up there performing,” Chunn explains. “The one I went to the year before, when I was poised to become the boss, was held at Hammerheads restaurant. You didn't really know most of the songs and they lined them up a bit like a beauty pageant. It kind of looked weird, these five guys standing up on stage looking like they were about to be shot. Jan Hellriegel’s ‘The Way I Feel’ was performed by Bush Beat from South Auckland. The following year, former Split Enz keyboardist Eddie Rayner was drafted in as the awards’ first outside musical director. But something else happened. The Silver Scrolls gradually became a kind of rallying point for a cultural campaign around New Zealand music. Baysting was the New Zealand writer representative on the APRA board and after he saw Australian airplay statistics at the Sydney head office, he realised that another significant change – the move to computerised logging of radio play – could be harnessed to make a case. In 1994, the first year the numbers were done, the rate of local songs was pitiful: 1.9 percent. Some radio owners – notably Josh Easby and Steven Joyce – came on board with the Kiwi Music Action Group. But the pivotal moment politically may have been the 1998 Silver Scroll awards. Judith Tizard and other Labour MPs in were in the room and Chunn believes Labour’s white paper on the creative industries gained momentum that night. The wild Nathan Haines performance on that first night at the Powerstation remains one of Chunn’s favourite awards moments. He also enjoys the newer tradition of tributes to artists like the late Mahinārangi Tocker. The event’s new profile encouraged a wider range of songwriters to try their luck. In the 1980s, such prominent writers as Dave Dobbyn and Jordan Luck were APRA members, but didn’t enter. The way winners were found also changed in the Chunn era. The awards themselves also grew to reflect APRA’s work and members’ interests. 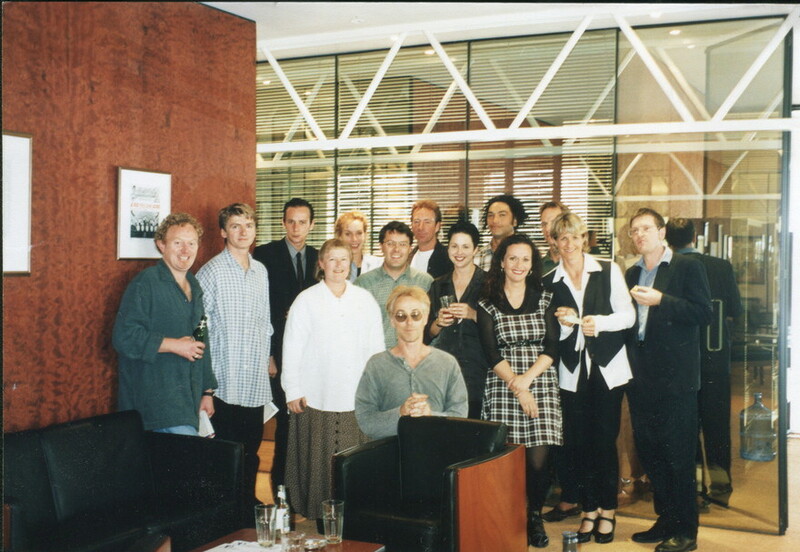 In 1994, the “Most Played Work” categories, reflecting radio play in New Zealand and internationally, were added – with both categories going to Neil and Tim Finn for ‘Weather With You’. (Neil’s ‘Don’t Dream It’s Over’ subsequently won the international category 13 times – without once being the most-played song on New Zealand radio.) 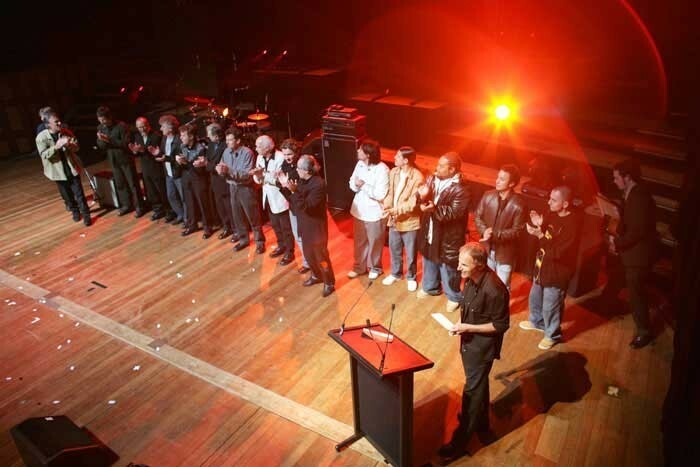 The Sounz Contemporary Award, reflecting APRA’s continuing links with “art music”, came in 1998, and the Maioha award for Māori compositions in 2003. Categories for feature film and television music were added in 2014. Since 2007, APRA and Recorded Music New Zealand have also annually inducted one artist each to the New Zealand Music Hall of Fame at their respective awards. (In recent years, their cooperation on musical legacy has extended to day-to-day operations, via the One Music fee, which combines their respective rights levies on businesses that use music.) The Hall of Fame is not (yet) a physical place, but it offers yet another set piece to look forward to each year. For those of us who attend, the Silver Scrolls have developed into a celebration of the culture itself. The revival feel of the 1990s has given way to a more relaxed atmosphere, as if the argument (if not the battle) has been won. If the staging has become more sophisticated, the key to it remains that APRA members (those who remember to swiftly RSVP) attend en masse. It’s a rare musician who doesn’t enjoy a free meal and drinks and a yarn. One down-home feature, the “second stage” where various musicians could get up and take turns to knock out a couple of songs after the official programme ended, has come and gone, but it remains a soulful evening, one about music and its creators – and one which has transcended many of the old divisions in the musical community. 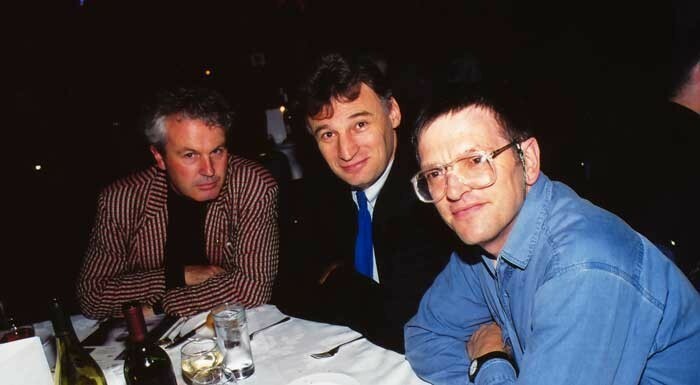 Artists who in the 1980s might never have been in the same room now share a table. The top award, now voted on by all members, is as likely to be won by a rapper as a singer-songwriter. Unsurprisingly, the awards have also played their part in encouraging composers to join APRA. On that wild night at the Powerstation, APRA had 4,000 New Zealand members. In the awards’ 50th year, it has 8,000 members, all of them eligible to vote on a longlist of contenders.